In spite of the commencement of production from its newly discovered oil wells, Lagos State may have to wait until crude oil export commences before it joins the league of states benefitting from the 13 per cent derivation principle. This clarification was made yesterday at Federation Account Allocation Committee (FAAC) meeting. This emerged just as allocation available for sharing by three tiers of government for the month of July dipped by N115.369 billion to N443.663 billion as against June’s allocation of N559.032 billion. The reduction was caused by sustained attacks on oil installations by Niger Delta Avengers (NDA) leading to disruptions both in oil production and sales. 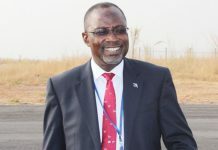 The Permanent Secretary, Ministry of Finance, Dr. Mahmoud Dutse-Isa, who spoke with journalists after the FAAC meeting, said Lagos would begin to enjoy 13 per cent derivation when crude export commence from its oil wells. “Lagos state is yet to start enjoying from derivation principle. When crude oil export commences from the wells, the revenue realised from such wells will be allocated to them,” he said. For the month of August, the gross statutory revenue stood at N287.819 billion, an amount lower than N538.788 billion received in previous month by N250.970 billion. “Crude oil export volume decreased by 2.8 million barrels in April 2016 partly because of a subsisting force manjeur declared at Forcados terminals. Also, shut-in and shut down of pipelines at other terminals due to the activities of vandals and for maintenance impacted negatively on production. There was a revenue decrease of $102.17 million in federation export revenue despite the increase in average price of crude oil from $38.64 in March to $42.21 per barrel in April, 2016”, the permanent secretary explained. From the statutory revenue of N258.151 billion shared, federal government got highest amount N129.212billion, states got N65.538 billion, local government N50.527 billion while oil producing states got N 12.874 billion as 13 per cent derivation. The balance in Excess Crude Account stood at $3.03 billion.